Edward V. Wolfe passed away Sunday, Dec. 26, 2010, at his daughter's home. Born Tamaqua, Pa., he was a resident of Southampton since 1957. He attended Penn State University, East Stroudsburg University and received his Masters degree from Lehigh University. Mr. Wolfe served in the U.S. Army with the 187th Airborne Regimental combat Team. He was a life member of Veteras of Foreign Wars Post 6493 in Warminster. 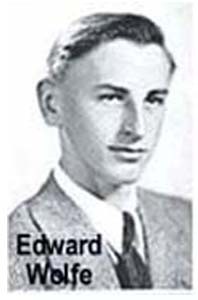 Ed was a teacher for 31 years at William Tennent High School, where he was also the basketball and bowling team coach. During his time as the bowling team coach he had 18 bowling team championships and was the Bucks County Courier Coach of the year for bowling. He was a member of the Professional Bowling Association and was inducted into the William Tennent High School and the Lower Bucks Men's Bowling Association Hall of Fame. He also was an avid Phillies fan and proud Lithuanian. He was the husband of the late Rosemary; and son of the late Anthony and Elizabeth. He was the father of Joseph (Ann), Linda Kuczynski (Scott), Ann Trabachino (Ralph) and Susan Pohl (Alex); grandfather of Joseph, Lucas, Gabriel, Daniel, Courtney, Ariana, Amelia and Nicholas. Relatives and friends are invited to his viewing from 10 a.m. until noon Thursday at Our Lady of Good Counsel Church, Second Street Pike, Southampton, where his funeral Mass will be celebrated at noon. Interment will be in St. John Neumann Cemetery.